Relive your life with Confidence with Skin n Shape! This is not just a statement but a religion for us. We strive hard to meet the growing needs of our patients. 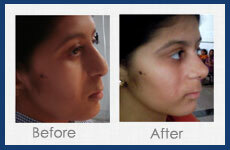 Who doesn’t want the looks as desired; the solution lies with DR. HARPREET S. BAKSHI. Dr. Bakshi is one of the best hair transplant doctors in Chandigarh, India who serves thousands of patients every day in varied branches of cosmetic surgery and hair transplant. The standards we have in our clinic are at par or above that you will find anywhere else. Gone are the days, when you had to live with the way you looked – whether you had small breasts, crooked nose, there was very little that could be done with them. But, nowadays, as the science has progressed, doctors have the capability to change what you do not like in your looks and bring you somewhere closer to the way you want to be. Whether you are concerned about baldness, hair loss, shape of your nose or even your eyelids, at Skin n Shape Clinic, DR. HARPREET S. BAKSHI will definitely have a solution for you that shall be perfect for your personality! 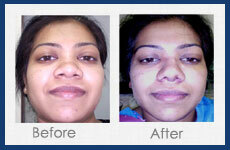 Why Dr. Harpreet S. Bakshi can help you regain your lost confidence? He is highly experienced and educated Cosmetic and Plastic surgeon in India who has thorough knowledge of all latest non surgical and surgical techniques. 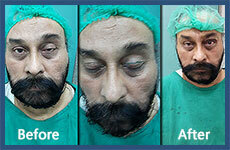 He has done his 3 years of super specialization in Plastic and Cosmetic surgery from Govt. Med. College & S.S.G. Medical College Vadodara after his M.S and M.B.B.S. Further adding to his qualification is the advanced training that he did from Kuwait under well renowned Dr A.R.Lari in Cosmetic Surgery. He is one of the best hair transplant doctors and pioneers of Hair Transplant technique in India. 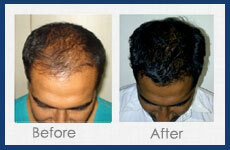 He utilizes both Strip (FUT) and FUE methods. He is also one of the trailblazers of the FUE technique for hair transplant in India. He works on the pattern of new hair as per the patient’s wish. Apart from his experience, he never compromised on quality thus uses the latest equipment and prescribes the best medicines during and after the surgery.